We start celebrating Easter at our house weeks before the actual holiday arrives. We especially love Easter activities and the chance to decorate our house in bright spring colors. 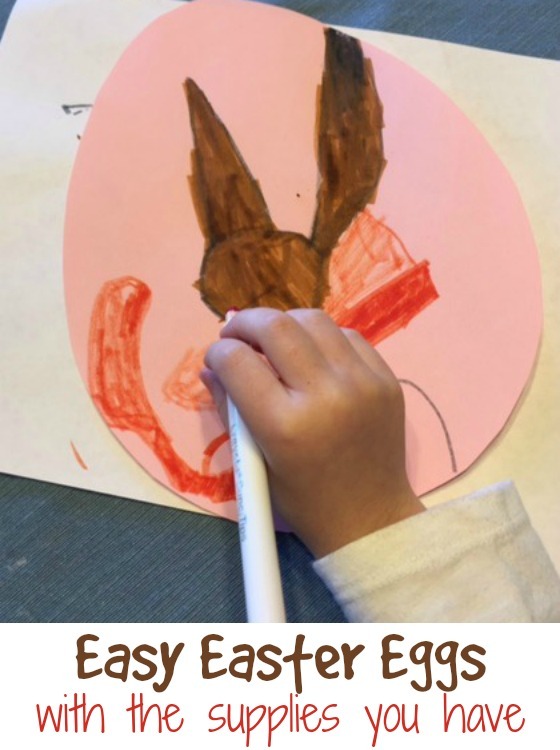 I came up with this easy Easter egg craft when my son was a preschooler, and we still enjoy it each year because we always get a different result – and you can, too! Start by cutting out simple egg shapes from brightly-colored pieces of paper. Any kind would work; we use construction paper so it’s a bit thicker. We also make our eggs large, nearly the size of the whole page. 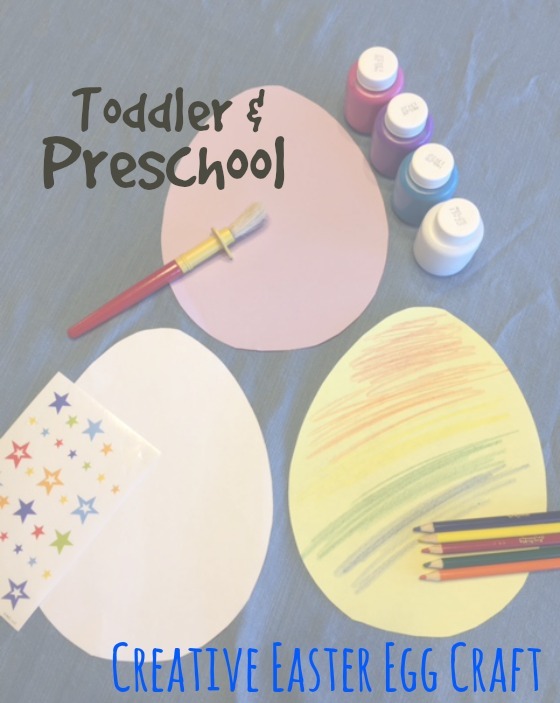 Once you have lots of “eggs,” bring out the art supplies so your kids can start decorating them. We use a different technique for each egg so that each one is unique. Once we have a whole collection of decorated eggs, we tape each one up on our kitchen windows. They would also look cute strung on a line with clothespins along a wall. One thing I like about this craft is that you can create as many or as few eggs at a time as you like. Try to decorate a dozen in one sitting or just pull out a couple each day to stretch the project out. I also like how much flexibility and creativity this project gives my little artists. They may start with the same basic materials (the egg shapes and art supplies), but each egg will be their own creation. See what your little ones can come up with and have some “egg-cellent” Easter fun! Bonus Points: We’ve used a white egg shape to create a bunny face by adding ears and a pink pom pom nose. We drew on the other features. You can also use a yellow egg to make a chick by adding wings and orange pipe cleaner feet. Kara White is the mom of two children, a son, 7, and a daughter, 3. Kara enjoys reading, baking, and trying to finish a cup of coffee while it’s still hot!